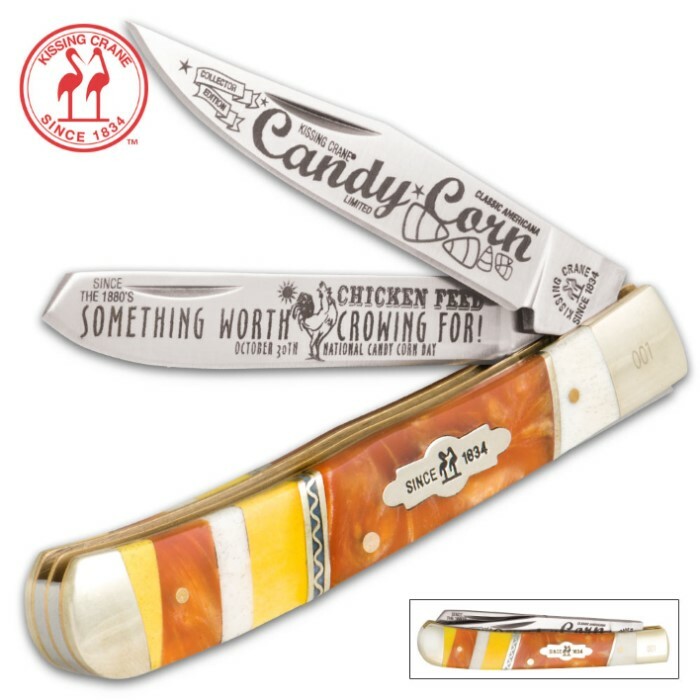 Kissing Crane Candy Corn Trapper Knife | BUDK.com - Knives & Swords At The Lowest Prices! 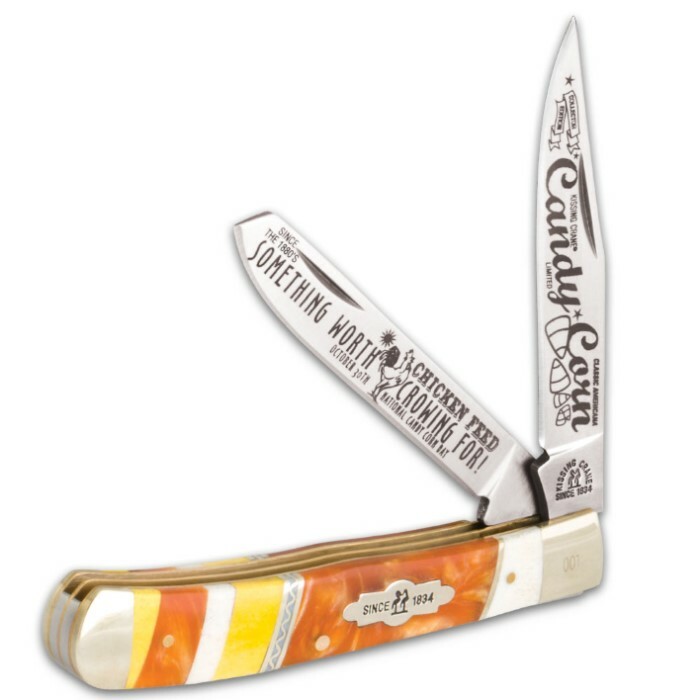 Oct. 30th is National Candy Corn Day, so, celebrate with this yummy looking trapper knife. 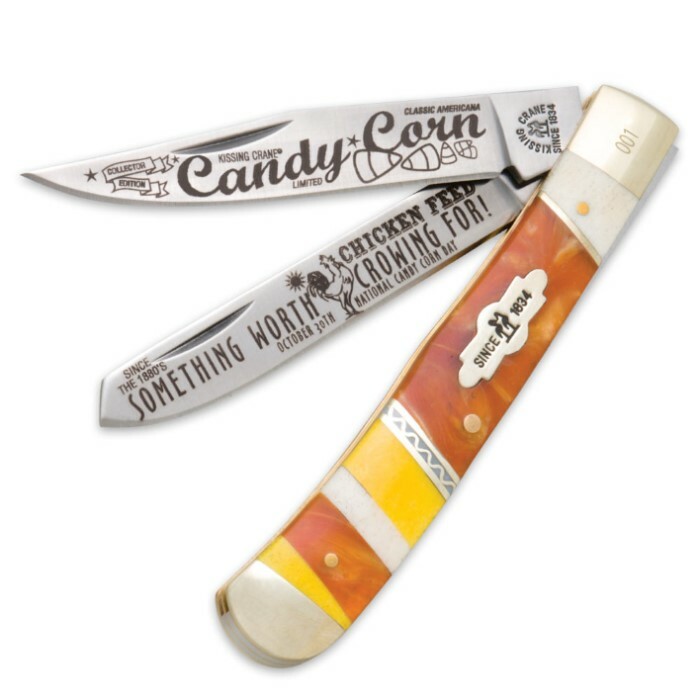 Kissing Crane is issuing this limited edition just in time for Halloween. The stainless steel blades are etched with designs that pay tribute to the sweet treat. The bone and acrylic handle looks good enough to eat. It also features a brass liner and nickel silver bolsters. It's 4" closed.